I actually recorded the video about how I did upgrade Windows 8.1 to Windows 10 on July 2015, but only got time to edit and published it recently. There are several things you should check first, before you run the processes. These are things that I would check, before running the process to upgrade Windows 8.1 to Windows 10. 1. Check if your computer has the requirements to upgrade. 2. Backup your important files from your computer, just in case, things turns into unexpected result. 3. You should have your license key of your current OS you have in your PC. 4. 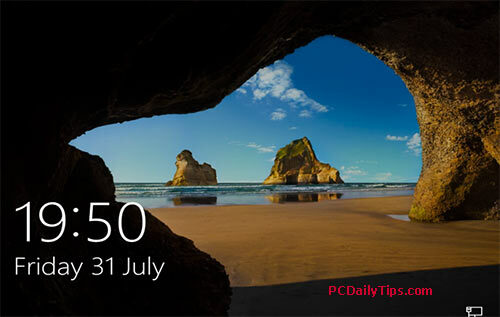 Get all the updates of Windows 8.1 before you start to upgrade Windows 8.1 to Windows 10. The process below, however, if things go well, you will not need to re-activate your license, and you will be able to use your computer as the previous state before upgrading (with previous files and folders are still there). 1. 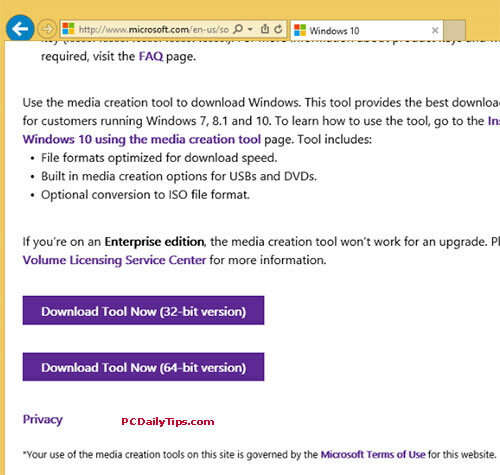 Download Media Creation Tool of Windows 10 here. Choose accordingly to your computer, 32-bit or 64-bit OS. 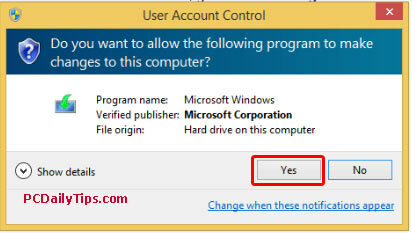 Choose “Run” and then will show User Account dialog box, click, “Yes” to run the tool. 2. 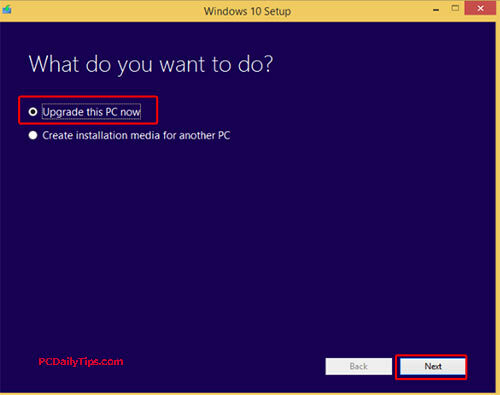 The “Windows 10 Setup” dialog box will show up, choose, “Upgrade this PC now“, then click, “Next“. 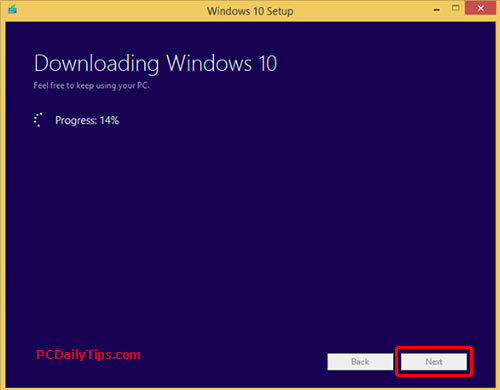 The process to download Windows 10 files, will begin. 3. 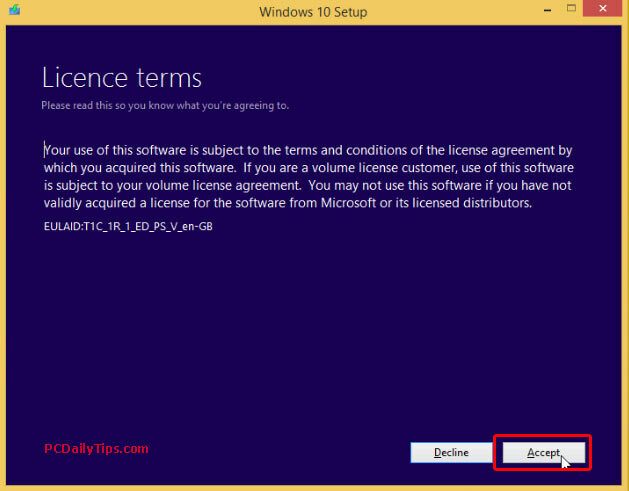 Follow the instruction, until you get the “License Terms” dialog box. Read carefully, and click, “Accept“. 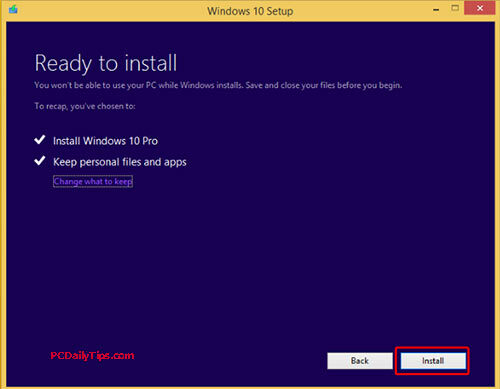 It will then get the Windows 10 updates, and check if your device is ready to install it. 4. “Ready to install” – click “Next”. The installation process will be started. 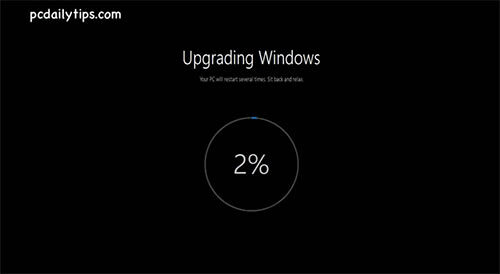 Grab your coffee, and it will run the process, also the “Upgradig Windows”. How long it will take can depend on many things, the speed of your internet, also how powerful your device is. 5. 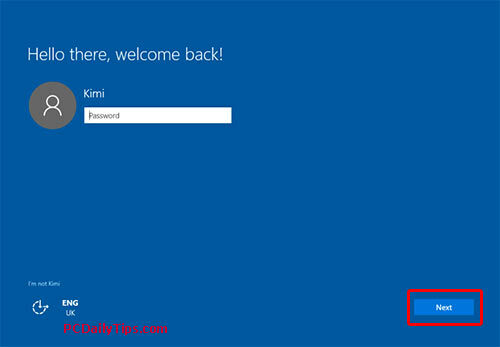 Once it is done upgrading, it will welcome you, with “Hello there, welcome back!” and you need to enter your password like when you do with Windows 8.1. Hit “Next”. 6. 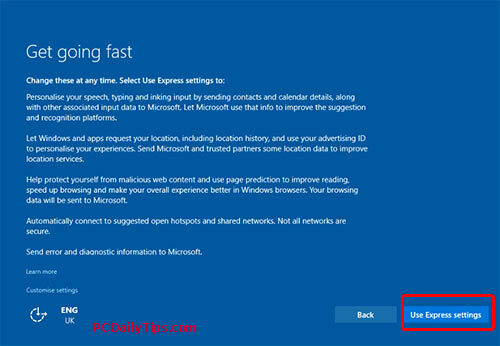 Next you can choose “customise settings” or click, “Use Express settings”. 7. 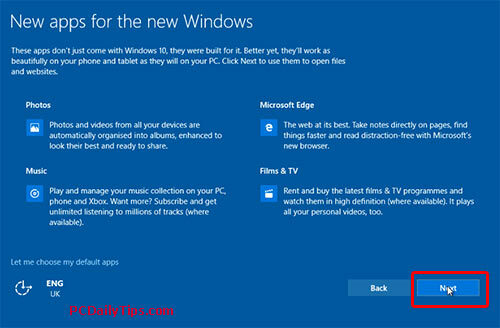 “New apps for the new Windows“. You can select, “Let me choose my default apps” or click “Next”. 8. Then your computer will restart, and you can see the appearance of Windows 10. I hope your process to upgrade Windows 8.1 to Windows 10 is successful like mine. → Next: MSI GE72 APACHE-235 17.3-Inch Gaming Laptop Powerful?